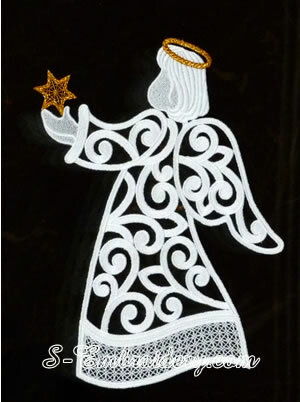 This fine free standing lace Christmas angel with the Star of creation window ornament is a large version of our very successful SKU 10625 Christmas angel free standing lace ornament. 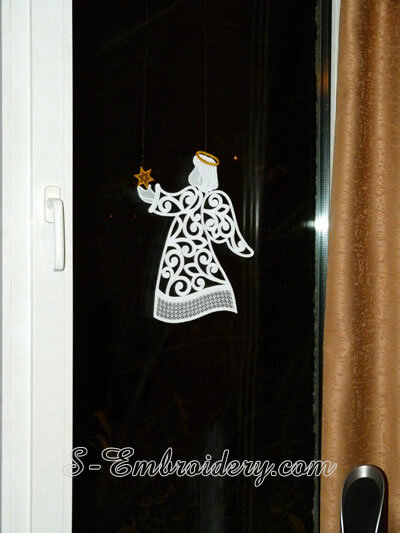 The window decoration design is split into 4 parts, which are stitched out separately. Putting the ornament together is rather easy and straightforward. The angel comes in 2 sizes. 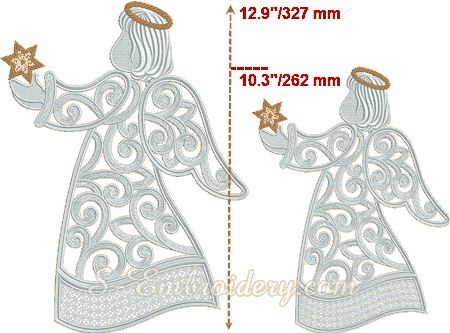 The size of the larger ornament will be approx. 10 x 13 inches (252 x 327 mm) and the smaller one would be approx. 7.9 x 10.3 inches (201 x 262 mm). You can see below a comparison between the relative dimensions of both size versions. The parts of the small angel will fit in 5x7 (130x180) hoops. For the large one you will need a 6.30 x 10.24 (160x260) hoop or larger. 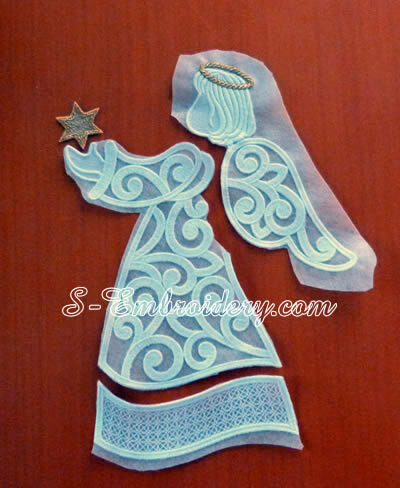 You receive 4 machine embroidery files as well as design information and instructions in PDF format.